Low growing delicate aquilegia like foliage. 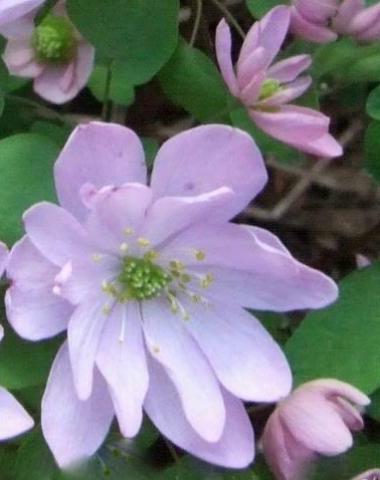 Dainty semi double and single lilac pink flowers, April to May. Semi shade, moist soil. 10cm tall.